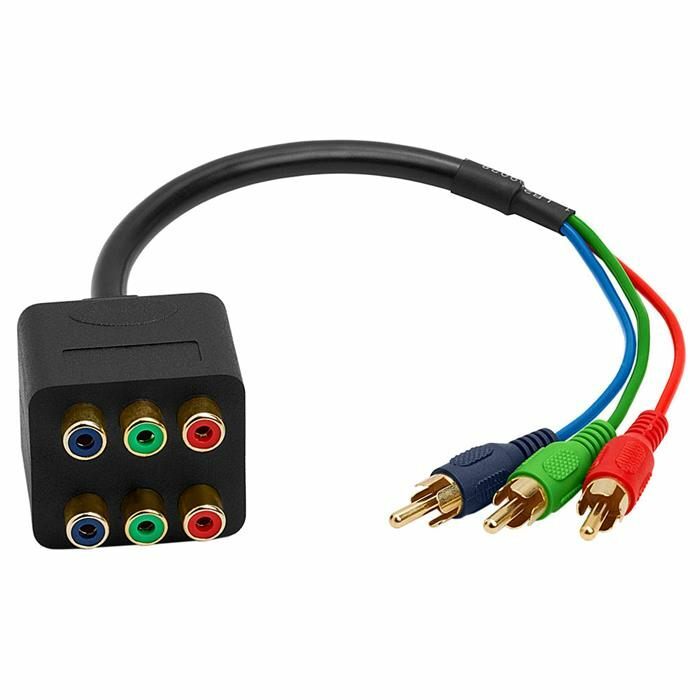 This Component Video splitter cable is for splitting component signal to 2 display devices, and provides an inexpensive alternative to displaying an image on 2 display at the same time. 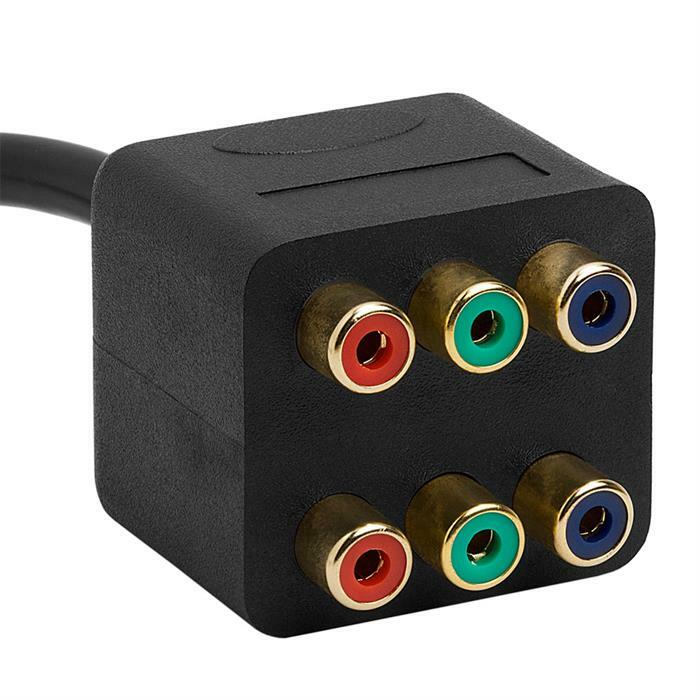 Adapter allows two sets of RCA RGB cables into one device or split one split one set into two. 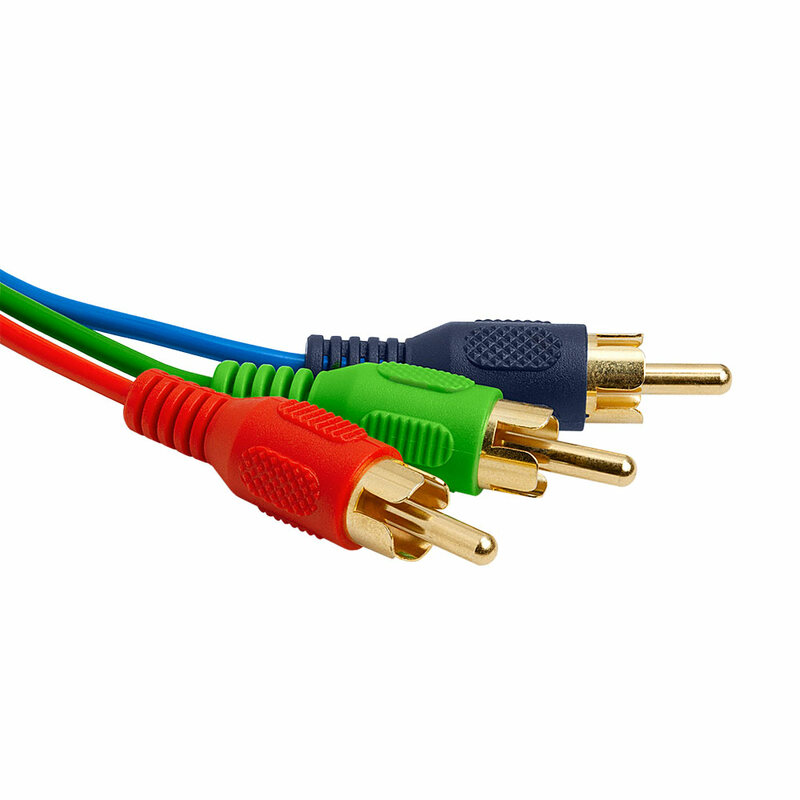 Splitter can be used for Audio signal!